Industrial ball valves are available at one stop source of Spire Industrial Equipments Co., who can present the gigantic array of its products at market leading prices. These are manufactured with the API Std. 6D and BS 51868, and tested to API Std. 598 and used for quick shut off and low emission application. These are quick in actions and have longevity to perform. 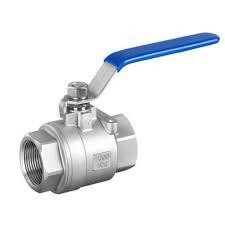 Ball valves have corrosion resistance.